A customer's web proxy server running 'Websense Web Security / Web Filter', is running low on free disk space, and the WSLOGDB70 files in C:\Program Files\Websense are identified as the major culprit of excessive disk consumption. Note: This applies to an installation of Websense installed with the bundled MSDE 2000 (Microsoft SQL Server 2000 Desktop Engine,) which had a built in database rollover feature to avoid hitting the 2GB single database size limit of MSDE 2000. 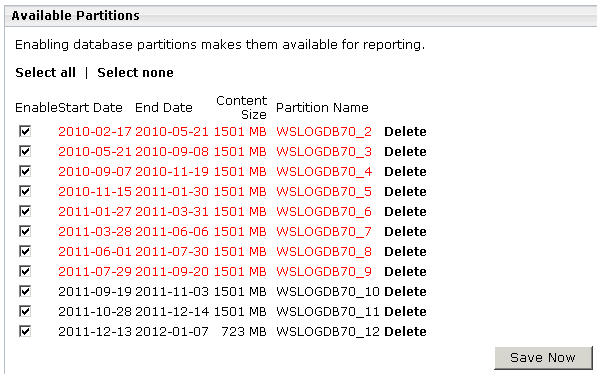 7) The WSLOGDB70 files will not be deleted straight away, but will be deleted next time the maintenance schedule runs. The 'Maintenance start time' can be checked in the 'Maintenance Configuration' section. If necessary, temporarily adjust the 'Maintenance start time' to purge the deleted database partions sooner. Question: Can I delete wslogdb70 files? Answer: Yes, but it should not be done manually via Windows explorer, remove via WebsenseManager WebUI. To have it delete immediately, run the maintenance job in SQL after selecting delete. Hello Anonymous, thank you very much for the comment. Cheers!